June 14, 2012....Free... This is one is just for the teacher's iPad! A lot of the apps I will be posting were free at the time I added them to this blog. 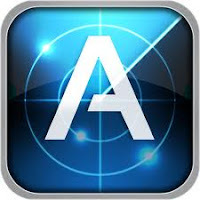 One way I find cheap or free Apps for myself and my class is by using an app tracker like AppZapp. When they are on sale or free, I download them to try out. This year, since only 6 teachers had iPads in their class, we were able to get free apps whenever we wanted and could manage them ourselves. Next year with an entire school with iPads, we will have a tech teacher to manage them and an app application to fill out to get apps. I will let you know how it goes when we get it up and running.